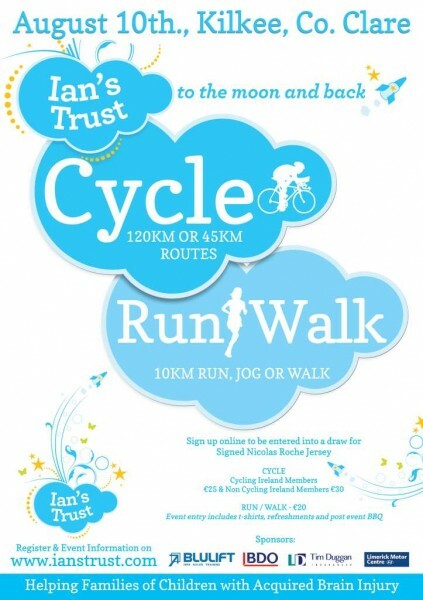 Blulift are delighted to announce their involvement with the latest event being held by Ians Trust, The To The Moon And Back Cycle / Run / Walk which is being held in Kilkee on the 10th of August. Online registration is now open, and you can sign up by clicking here. This promises to be a great event and we encourage you to support it where possible. Thank you.